1Does it cost more money to utilize a Travel Consultant? The answer is NO! A travel consultant can save you money and TIME! It’s our job to filter through the abundance of travel deals, pick out the best values, and make travel easy. Travel Consultants work with travel suppliers that offer commissions for booking with them. It’s a win – win for the Traveler and Travel Consultant. Travel Suppliers offer Travel Consultants the same rates or better than what you could find online yourself. A Travel Consultant also offers creativity to your travel plans. I pride myself in a well planned trip and would never suggest a resort, destination or tour unless I would do it myself. I have high expectations so I am confident in my suggestions. Keep it easy, take the advice, and let someone else do the work. 2Why utilize a Travel Consultant like Destinations by Amy? With extensive experience and knowledge, Destinations by Amy can make your travel planning easy and effortless! Destination Wedding groups will benefit from one main contact for booking all travel arrangements and answering any questions they will have. 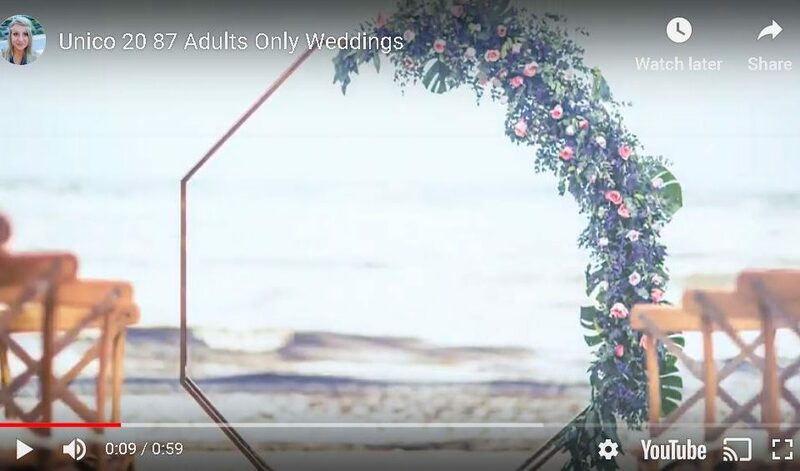 In turn, Brides do not need to field all these phone calls and emails themselves. For picking the best destination for your Destination Wedding and Honeymoon, you can be confident that Destinations by Amy will specifically help you choose the best resort based on your wants and needs. 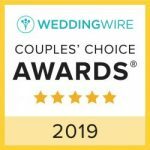 3Why do you suggest an All-Inclusive Destination Wedding for my group? An All-Inclusive Destination Wedding is a group trip with your closest family and friends, a complimentary wedding planner, a travel consultant to take care of everyone’s travel needs and an unforgettable experience. Your days will be filled with drinks by the pool, water sports, dining al fresco, and sunshine. The best part is that it is all included! 4How long should I be on property before the wedding? A lot of brides and grooms will arrive up to five days prior to their wedding day to relax and get situated. Each destination will require for legal ceremonies for you to be on property up to 3 days ahead of time. Destinations by Amy will make sure your reservations at the resort are made accordingly for your specific destination. 5What other events can Destinations by Amy help with? A welcome dinner is a great idea. Even planning a brunch for the morning after the ceremony will be a huge hit. 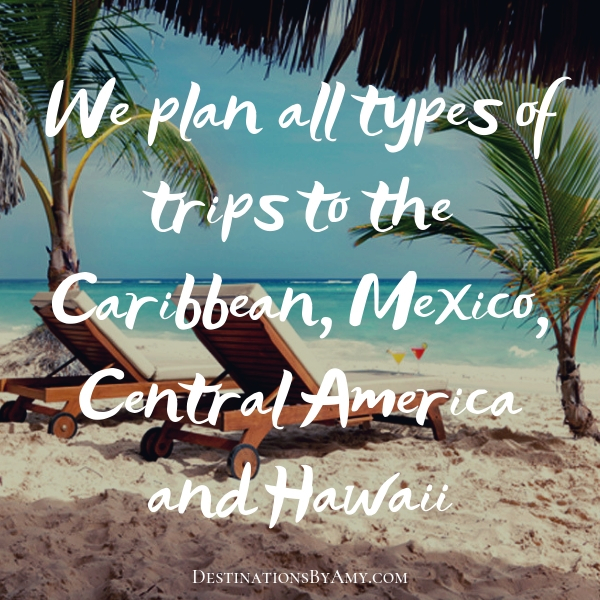 All of these special events can be planned prior to arrival and Destinations by Amy can help you make it happen. As guests arrive, you can greet them and share the itinerary for the rest of the week. How fun does that sound? 6How far in advance should I start booking my trip? The earlier the better! The preferred resorts and dates do fill up quickly. Thinking of pulling this off last minute? No problem. As long as your little flexible, Destinations by Amy can make it happen! Let Destinations by Amy make your dreams a reality. Start today by Scheduling an Appointment!